Happy Holidays! With the chill finally hitting the West Coast, I have been craving everything snuggle worthy, including warm drinks. 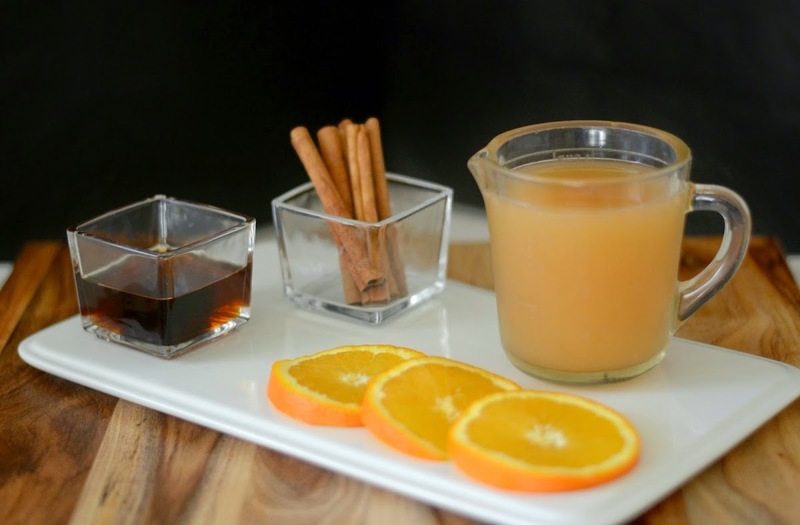 Thus giving hot cider a boozy twist, I fine tuned a yummy cider recipe I got from a friend, making a cozy cocktail surly to be holiday party hit. 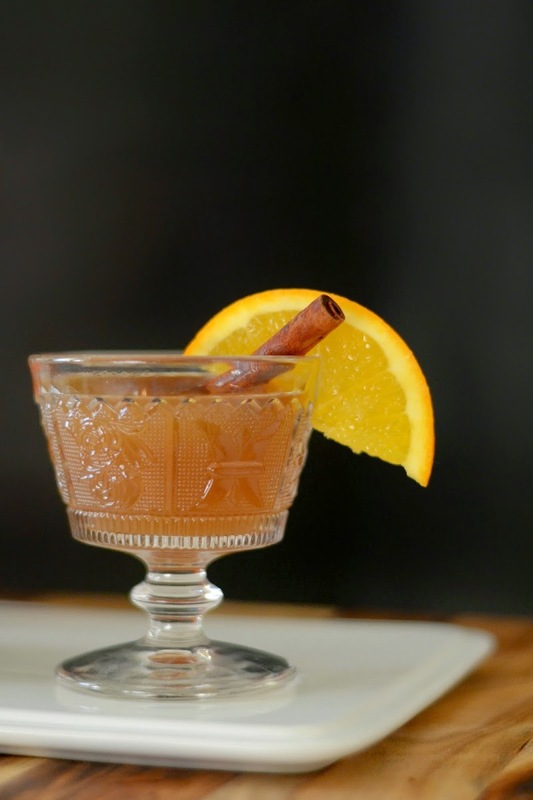 Most hot cider cocktails call for seeping a drink with a handful of spices, while others suggest a lemon like tea infusion.Yet both of these flavors can really pack a punch when paired with bourbon's oak taste. 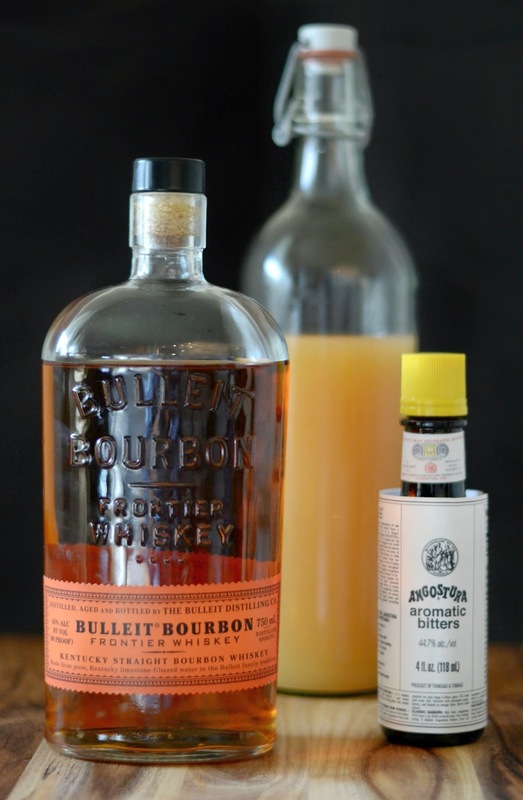 Thus a more party friendly alternative, Holiday Bourbon Cider is an ideal cider cocktail pick. Its fresh orange slices will delight those with a like for a sweeter flavor pallet, while its bitters will keep that boozy balance for that craft cocktail connoisseur. Lastly, I have two tips that will ensure maximum enjoyment. 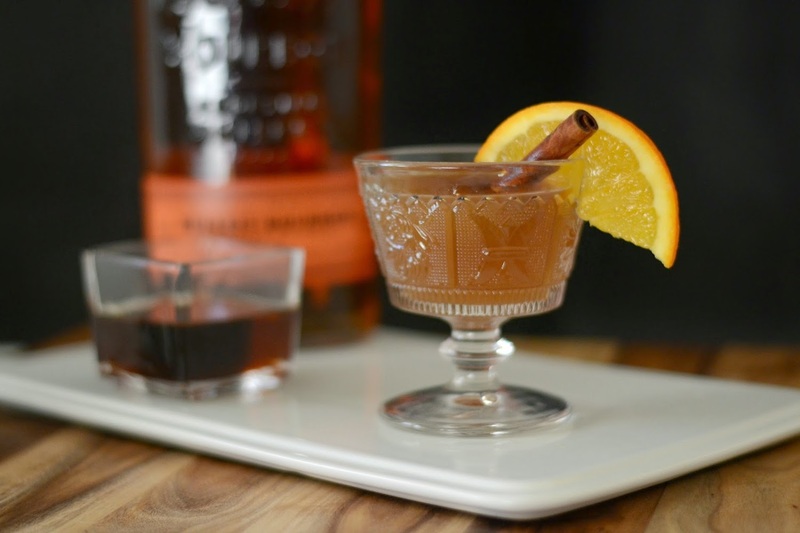 Keep your drinks warm for an a extended period of time by prepping your cocktail glasses. An easy way to do this is by simply filling them with hot water and once they are warm to the touch pour the water out, wiping them dry. To keep your cider warm for an extended period of time consider making the cider mixture in a crock pot. It will be ready to use on cue for those large party situations. Happy Sipping!